This entry is part 37 of 21 in the series Patriotic U.S.A.. Independence Day, also referred to as the Fourth of July or July Fourth, is a federal holiday in the United States commemorating the adoption of the Declaration of Independence on July 4, 1776. 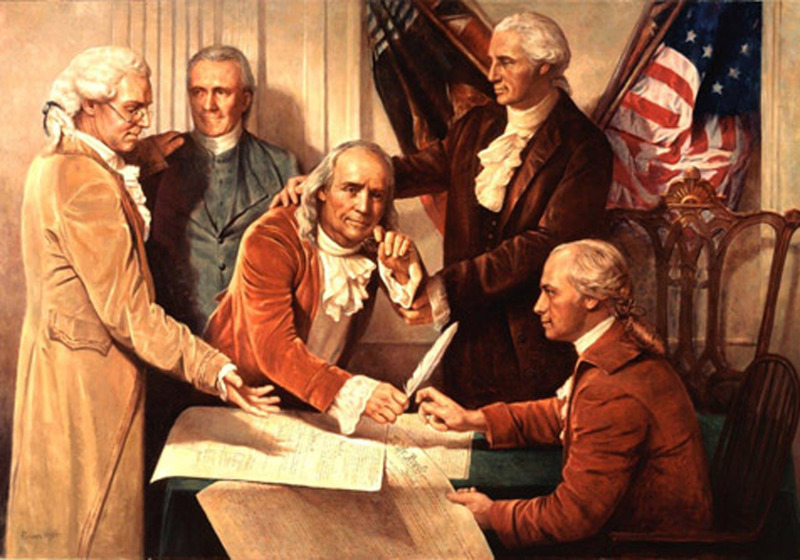 Today, the original copy of the Declaration is housed in the National Archives in Washington, D.C., and July 4 has been designated a national holiday to commemorate the day the United States laid down its claim to be a free and independent nation. The text of the Declaration of Independence, from "When in the course of human events" through "our sacred honor", is approximately 1,320 words long. Some versions of the text add, subtract, or change words, which affects the word count. If we include the title from the engrossed parchment, "In Congress, July 4, 1776. The unanimous Declaration of the thirteen united States of America," the total word count is 1,337. If we include the names of the 56 signers, the total word count is 1,458.